When Dominika reached out about scheduling her engagement session, she said she wanted a location that was something like out of a fairy tale. We discussed several options, but finally decided on the very beautiful and scenic Eno River State Park. 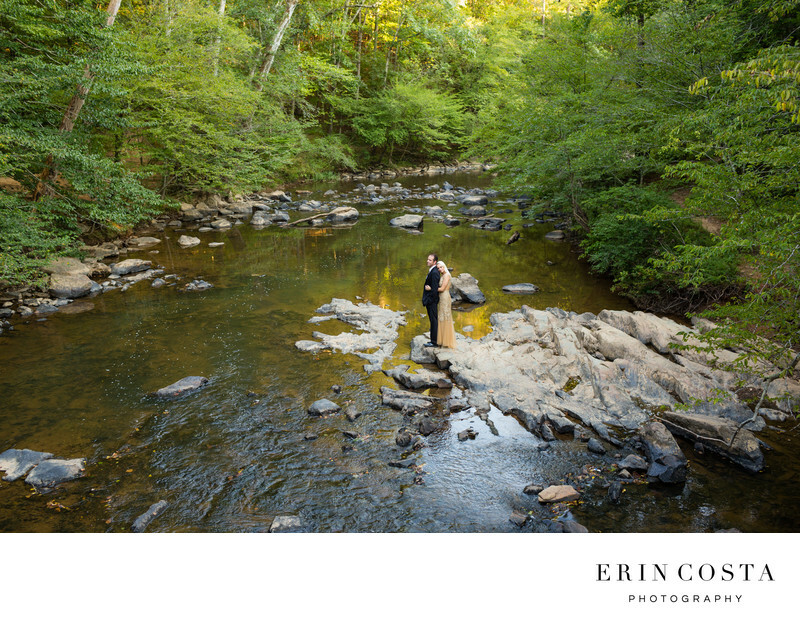 Her gorgeous gold gown was a perfect compliment to the woods and water around her and Mark. Location: 6101 Cole Mill Rd, Durham, NC 27705.